Ischemic stroke (cerebral infarction) is the most common type of stroke. It is a deadly condition caused by blockage or rupture of blood vessels in the brain. 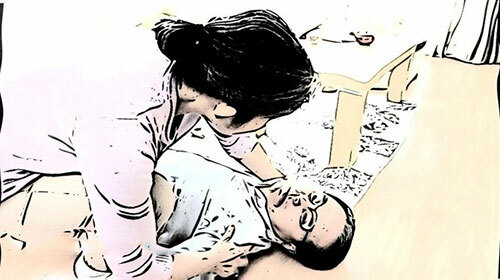 Paralysis on one side of the body is one of the sequelae of stroke. According to the World Health Organization, an estimated 15 million people suffer from stroke every year worldwide. Of these, 5 million are bedridden or disabled permanently and another 5 million die. In this article, we'll let you know the secrets on how you can minimize the risk of death from stroke through early detection. We'll also inform you the latest information about youth stroke or stroke among young adults. Tissue Plasminogen Activator (t-PA), a 'Magic Bullet' for Stroke? Tissue Plasminogen Activator or t-PA is a protein involved in the breakdown of blood clots. t-PA can be manufactured through laboratory methods (molecular cloning), and this may be referred to as recombinant tissue plasminogen activator (rtPA). Depending on the symptoms or conditions of the patient, t-PA is capable in dissolving a mass of blood occlusion in blood vessels in the brain and can serve as a magic bullet for stroke. However, treatment via t-PA is rather uncommon. In fact, only 5% of stroke cases in Japan use t-PA because of the time limit imposed. The catch is that if you see any abnormal changes in the body of the patient, you need to get the patient to the hospital as soon as you can. Otherwise, you won't be able to use this magic bullet (t-PA). t-PA is truly a silver bullet for cerebral infarction (ischemic stroke). It works by dissolving the blood clot that formed in the brain and restores blood flow. It is usually given through a vein in the arm (intravenous injection). If you think about it, this protein wonder drug can save the lives of many stroke patients. But it appears that only a small percentage of patients benefit from it—and time limit is considered to be one of the reasons. In fact, "t-PA" cannot be used for a patient if four and a half hours has passed since the onset of stroke. The reason for this is that the blood vessels may have already been damaged as the blood flow is interrupted for too long. At this point, if you try to restore blood flow through the use of "t-PA", the risk of bleeding in the brain due to the damaged blood vessels would have greatly increased. 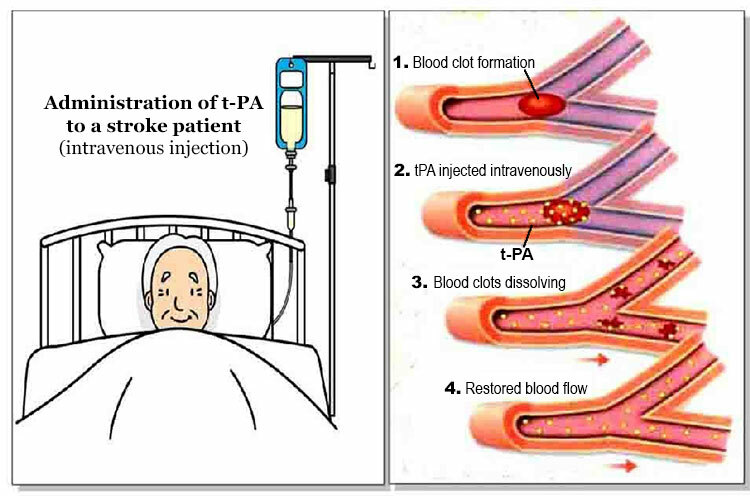 Therefore, as soon as you can get the patient within four and a half hours to the hospital after stroke symptoms begin, then the patient is a good candidate for t-PA treatment. Still, many patients would end up being over the time limit. Why is it so? The most common cause is actually inherent to people, and we call this "normalcy bias" or "normality bias". The term normalcy bias refers to a person's mental state when he or she is facing a disaster or tragedy. It happens when people are underestimating the occurrence of a possible risk or disaster and its effects. But most people do not know that these are not the only symptoms of stroke. For example, symptoms like numbness, nausea, stiff neck, snoring, weakness, and abnormal sleepiness, are symptoms that may not obviously link to possible signs of stroke even though they are. In this case, the impact of normalcy bias increases and causes treatment delays. Although it is very difficult to notice some of these obscure stroke symptoms, if you have the knowledge and you are properly informed on what to do if you see the earliest possible symptoms of stroke, then you can arrive at a special solution to the problem. Paying Close Attention Increases Your Chance of Detecting Stroke Early! The best way to find out quickly the earliest signs of stroke is for the family member and friends to pay close attention to the patient every day. 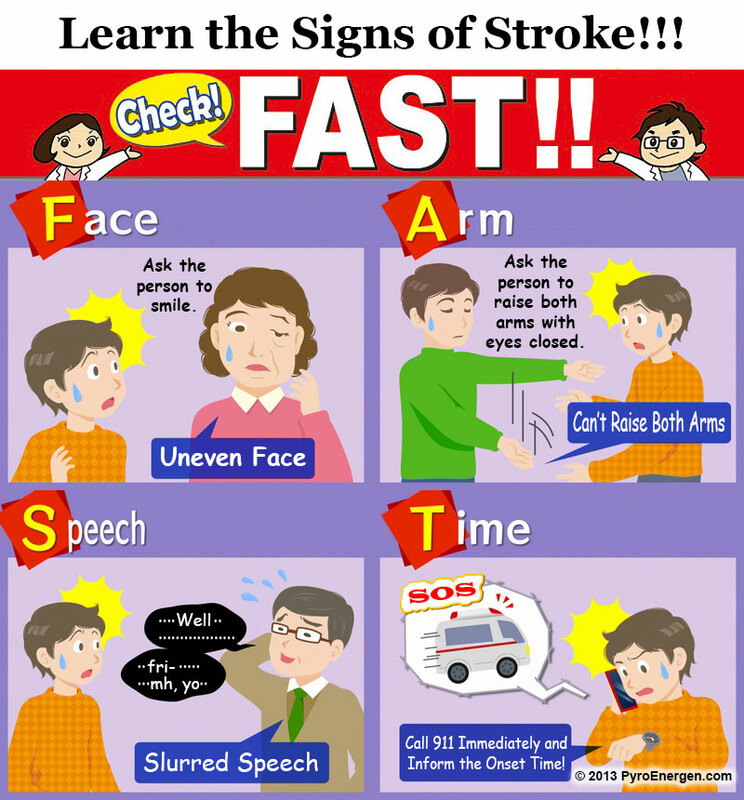 The second most important thing is for you to know and learn the things that can be a sign of stroke. FAST also stands for Face Arm Speech Test among medical professionals. It was originally developed in the UK for their stroke prevention campaign. Educating friends and family members to the FAST protocol will bring enlightenment to the typical symptoms of stroke, and the chance for a stroke victim to get t-PA treatment increases. Why Young People Can Also Get Stroke? Stroke not only affects the elderly, but healthy young people as well. 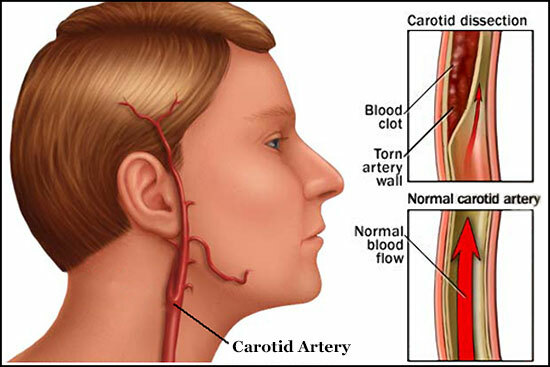 The most common cause of stroke among young adults is carotid artery dissection. The artery walls are made up of three layers of different kinds of tissue. When dissection occurs, a torn artery wall allows blood to spread or leak between these layers and separates them. As a result, the blood collects in the affected area and forms a clot. It then blocks blood flow and causes stroke. In addition, 70% of patients who have carotid artery dissection experience severe pain running throughout the back of their head and neck. It is recommended that you consult your doctor as soon as these symptoms appear. There are many symptoms of stroke, but there are top three things that you need to familiarize yourself with for an effective early detection. These are the tests typically done through the FAST stroke protocol. We highly recommend that you have the F.A.S.T. chart below downloaded, saved and printed for your reference. Ask the person to smile. If one side of the face is uneven, then this is a sign of paralysis and can indicate the onset of stroke. Ask the person to raise both arms with the palms facing upward and eyes closed. If one of the arms is drifting down, then there's a sign of slight paralysis and is a potential symptom of stroke. Ask the person to say aloud a simple phrase, such as "the sky is blue" or "the grass is green". Have the person repeat these short sentences. If the speech is slurred or the pronounced words sound strange, then it can indicate the beginnings of a stroke. Call an ambulance immediately as soon as either these 3 stroke symptoms of the face, arms, and speech appear. It is important that you also inform the emergency personnel the stroke onset time. Remember that the FAST stroke protocol is applicable to any one from elderly to young adults. Even if you are alone, you can make it a habit to follow the FAST procedure while looking at the mirror every time you wake up in the morning to determine if you have early signs of stroke. Don't forget that a quick reaction can make a big difference between full recovery and lifetime disability. 2. "Prevent Stroke (Cerebral Infarction) with This Tip"